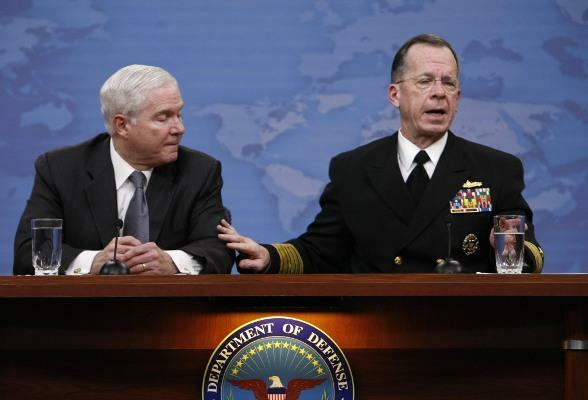 Defense Secretary Robert Gates, left, and Joint Chiefs of Staff Chairman Adm. Michael Mullen. It’s amazing, isn’t it, how quickly Afghanistan can fall off the front page or off the news cycle. And then something horrible will bring it back. But only briefly. Like in this news, an Afghan guy dressed in a soldier’s uniform drove into a crowd that had gathered to see what US and NATO troops were up to in their neighborhood park. The guy donated a bomb – and people were killed – including 3 American soldiers. The park was in a relatively peaceful area of northern Afghanistan. The training of Afghanistan’s security forces has been a key element in the White House and Obama’s withdrawal planning. Expected to reach their combined numbers of 352,000, the training of Afghan army and national police is supposed to be several months ahead of schedule. But, we’ll see what the news brings. And how quickly Afghanistan falls off that frontpage or news screen. So, it’s our job – us – the alternative press – to keep Afghanistan in the news, in front of our fellow citizens, to keep the pressure on the White House and Pentagon. Because we do need to get the hell out of Afghanistan. Now. a front row seat into how the US military overrode a sitting President of the US on the very critical issue of war. During the White House’s Strategic Review of its plans for Afghanistan back in 2009, the Pentagon continuously refused to provide the President with serious and adequate options – despite his repeated and more and more frustrated requests and appeals. …[T]op Pentagon honchos undermined Obama’s decisions constantly, by questioning them after initially agreeing to them, and by finding exceptions to what they agreed upon. And now I’m back to substantiate this claim in this and a third part. 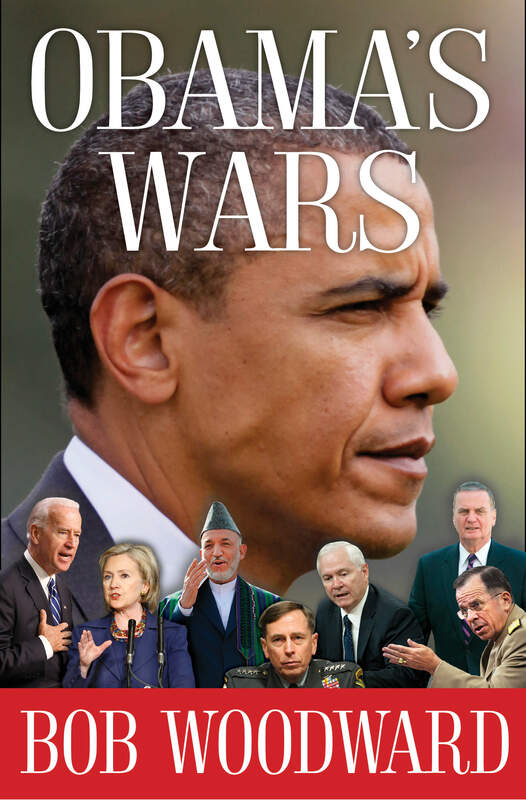 Based on my study of Woodward observations and analysis in his “Obama’s Wars“, he cited numerous incidences where the Pentagon chieftains overrode the sitting US President, Barack Obama, in formulating a military strategy for Afghanistan. During the Fall of 2009 – a year after he was elected – President Obama began a Strategic Review of the Administration’s options in the Afghanistan war, then in its 8th year. During this period the White House was developing its idea of a Counter Terrorism plan for Afghanistan. The basic idea was that this plan would involve two forces of 10,000 troops each. One would go after the Taliban, and the other would train the new Afghan army. Vice-President Joe Biden was taking the lead for the White House in building support for this option and sounding out the military on the Counter Terrorism idea. Yet at the same time, General Stanley McCrystal – then the top US commander of our and NATO forces in Afghanistan – had a different plan. His plan called for an additional 40,000 American troops and which amounted to a totally different approach to the conflict. For Obama, as I mentioned, the strategy in Afghanistan was based on the key element of transferring “security” to the Afghan government. The President’s idea was to remove US troops when their Afghan counterparts were trained to successfully engage in the conflict. To this end, at an October 14, 2009 meeting of the National Security Council (NSC), the President discussed the ideas of “reconciliation and reintegration” – meaning reconciling with local tribal chiefs and former-Taliban elements, and reintegrating them into the governmental structures in Afghanistan. This discussion forced an open display of division within the top echelons of the military – right in front of the President – which was verboten. Obama had turned to General Petraeus, then Commander of the US Central Command, near the end of the meeting and directly asked him about his experiences with reconciliation in Iraq. As Petraeus was about to present his memo on the issue to the President – his commander in chief, Admiral Mullen – who had not seen it and who outranked the general – blocked Petraeus from handing Obama the memo and refused to allow him to response using his documents. Petraeus was then forced to proceed with his briefing without the famous memo – which Obama never did see. (Pg. 239- 241.) So, open discussion and debate was thwarted right then and there. To bolster their plan of counter terrorism, the White House wanted the Pentagon to run war games on the option to flesh out details and figure out what additional planning was needed. But both General Petraeus and Mullen squashed the idea – successfully. The Pentagon never did run war games on Obama’s option, but yet, that fact remained unclear to the President – as it appears that he believed that they had, and was relying on the Pentagon’s analysis of the results. (Pg. 245.) Petraeus is now CIA Director. Panetta is now Secretary of Defense. “This is not what I’m looking for. I’m not doing ten years. A few days later on October 30, 2009, Obama had a meeting with the Joint Chiefs of Staff at the White House, looking for allies. The President complained to them that for the past two months, Mullen, Petraeus, and McCrystal had been locked into their request for 40,000 and refused to budge from that position. Obama wanted the Joint Chiefs’ opinion, pleading to them. He said: “I have one option that was framed as three options. I want three real options to choose from.” (Pg. 257-58.) Yet, in the end, the Chiefs already had been side-lined by Mullen and were definitely out of the top loop, and … were not that helpful to the President. As Woodward observes, Obama was trying to develop a strategy of “disrupting” the Taliban – a strategy counter to one that was geared to “defeating” them. The Pentagon wanted a real war, they wanted the enemy defeated. Yet, even though some military people agreed with the White House idea, Admiral Mullen was still the top dog and wheeled a lot power. This power was enormous as Woodward shows. When the US Ambassador to Afghanistan, Lt. General Karl Eikenberry, a retired Army officer, sent a memo to Secretary of State Hilary Clinton laying out his opposition to any plan that relied on a huge increase in US forces, saying that the Administration and Pentagon had “not studied every alternative,” Eikenberry learned first hand of Mullen’s largesse. Joe Biden commented that this plan would take six years. It was clear to the Vice-President during this meeting that the military leaders were not giving up their quest for 40,000 new troops. Biden found that they acted “as if it was written in the Holy text” and that they were becoming increasingly dogmatic. At that point, as Woodward documented, Biden unloaded and called the 400,000 number hollow BS. Part 3 will be forthcoming. This analysis has the ring of truth. Generals want to win wars, not withdraw because a war is unwinnable (and certainly they aren’t interested in whether a war is ethical.) Much of the world despises the US for perfectly justifiable reasons. A US/NATO loss in Iraq, Pakistan, and Afghanistan will be excellent news for the rest of the world. A devastating loss might do what the Vietnam humiliation did–keep us from starting any more murderous neo-colonial bloodbaths for another twenty or thirty years or so. But that’s too much to hope for. Excellent article. I’ll read the book. Many thanks. It seems that the goal of this article is to exonerate the President Obama from the responsibility for escalating the war in Afghanistan and the ensuing flurry of atrocities. It states: “Without letting Obama off the hook for the final decisions about Afghanistan…”. Well, then please elaborate on this in your next part for it did read as if you kept Obama “on the hook” at all. I understand the political reality we are in right now: the war opposing voter must either keep hoping that Obama will complete the military mission in Afghanistan by 2014 or accept the PNAC-type foreign policy from Romney next year. Let just not be naïve about the US foreign policy in general: it transcends the partly lines because it is dictated by the Military Industrial Complex.